AQUAMAN: Jason Momoa Says Fans Should "Keep an Open Mind"
Thanks to Flickering Myth for the Batman v Superman: Dawn of Justice news. 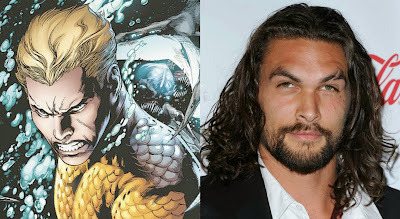 Check out the article below to see what Jason Momoa had to say recently about Aquaman and the DC movie Universe. Jason Momoa talks Aquaman role, says fans should "keep an open mind"